Jenna and Shea Stanley wed on October 5th 2013 at the Sanctuary in Scottsdale Arizona. Each beautiful moment captured by Erica Velasco Photographers. We love that we get to contribute a small slice to the most unforgettable day of your life! Great ideas for fun wedding party poses! 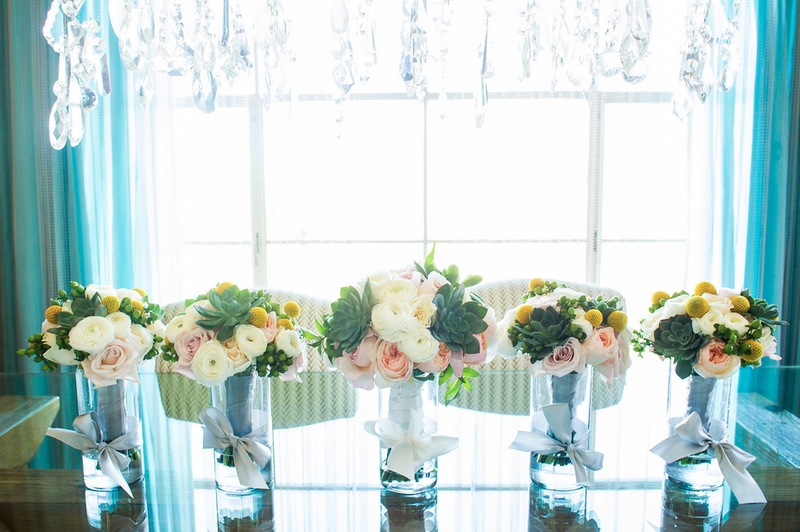 Wonderful use of flowers and succulents in this timeless bouquet. Jenna and Shea chose our Desert Skyline Invitations suite to perfectly compliment their location. We love their rustic flower boxes. A simple yet lovely addition to any table. Our Desert Skyline menu card in a beautiful frame. Great idea for a wedding cake topper too! We've been dying to share photos from this sweet engagement for what seems like, forever! Remember this Sweet Paper Proposal on the blog last year? Well the photos are finally out and they're exactly what we imagined. Cameron and his lovely fiance were definitely a match made in - Muni? Check out the entire gallery over at Style Me Pretty with tell-all photos by Chris and Adrienne Scott.